The choice of the Merlion as a symbol for Singapore has its roots in history. The Merlion is a mythical creature with a lion head and a fish body. The fish tail of the Merlion represents Singapore's humble beginnings as a fishing village where Singapore was known as ‘Temasek’ which means ‘sea town’ in Javanese in ancient times. The lion head depicts the legend of the rediscovery of Singapura which in Sanskrit means Lion (Singa) City (Pura) by Prince Sang Nila Utama of the Sri Vijaya Empire in the 11th century A.D.
Today, you can glimpse this legend at Merlion Park. Spouting water from its mouth, the Merlion statue stands tall at 8.6 metres and weighs 70 tonnes. This icon is a ‘must-see’ for tourists visiting Singapore. The park also houses a smaller Merlion statue. Known as the ‘Merlion cub’, it stands at 2 metres tall and weighs three tonnes. 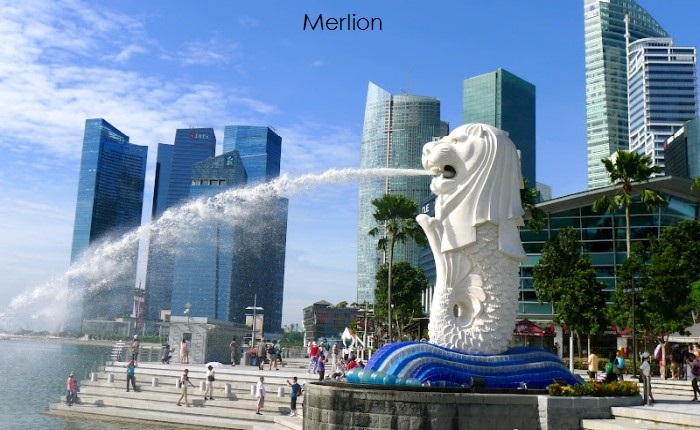 The original sculpture and its cub are the most well-known among the seven approved Merlion statues in Singapore. There is also the majestic 37 metres tall concrete Merlion on Sentosa Island where you can set foot in the Merlion’s mouth as well as its crown and experience a great 360° scenic view. 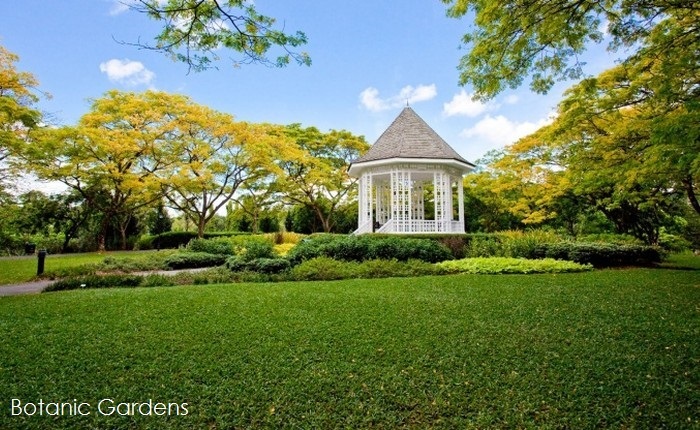 Singapore is a Garden City, rich in greenery and biodiversity. 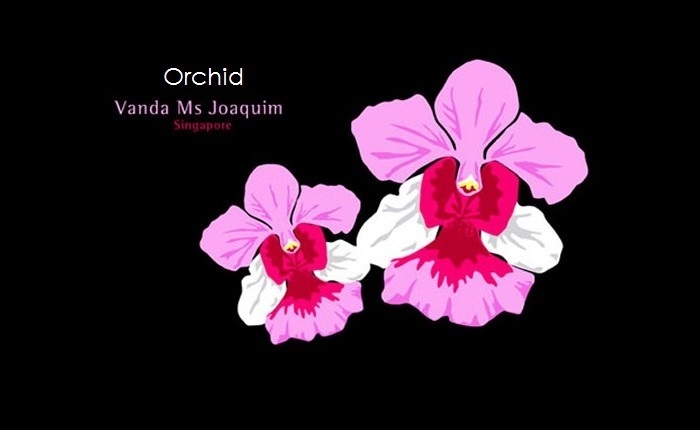 It is thus fitting that the nation is represented by a unique National Flower of its own, the Vanda Miss Joaquim (pronounced Wah-Kim). In 15 April 1981, it was selected from among 40 flowers, out of which 30 were orchids and was chosen in particular for its vibrant colours, hardiness and resilience –qualities that reflect the Singapore spirit. A cross between Vanda hookeriana and Vanda teres, the orchid is named in memory of Miss Agnes Joaquim, who bred the flower in her garden at Tanjong Pagar in 1893. Nowadays, the orchid can be seen growing in the National Orchid Garden, the Botanic Gardens, the Mandai Orchid Gardens and the Vanda Miss Joaquim Park at Tanjong Pagar. While bustling Singapore is the world’s fourth-largest financial centre and high in the international rankings for standard of living, education and healthcare, it also offers the visitor a thriving cosmopolitan experience brimming with diversity, and we recommend that you take your time and explore the fascinating mix of culture & cuisine, arts & architecture that awaits. 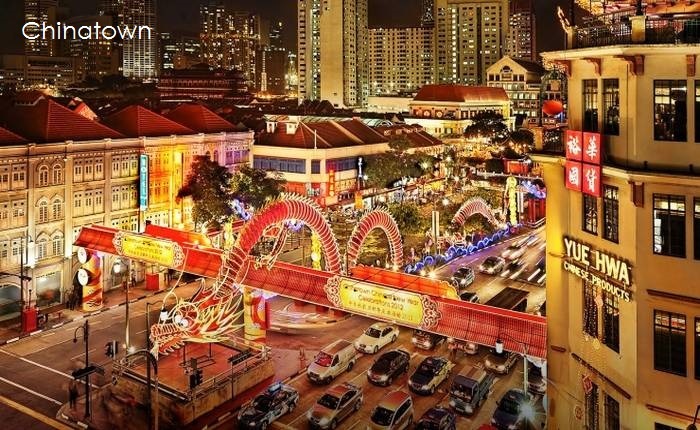 A visit to some of Singapore’s various ethnic quarters will immerse all your senses in the extraordinary diversity of cultures residing in the small island city-state. You can start with Chinatown, Little India, and Arab Street. For a taste of the arts, museums, galleries and exhibition spaces abound, and you don’t want to miss the art installations along Orchard Road and in the Marina Bay areas. Shopaholics will also find a wide range of unique clothing and other items in the ethnic neighbourhoods, and all the designer brands they could desire around Marina Bay. For foodies, Singapore is a street food paradise. While in Chinatown, venture over to Maxwell Food Centre and try the Hainanese chicken rice. Throughout your stroll through the various ethnic neighbourhoods, you’ll discover halal Malay food such as nasi lemak, South Indian vegetarian thali, North Indian naans and biriyani, Cantonese dim sum, Peking duck, and popular local dishes such as fried carrot cake and Hokkien prawn mee, laksa and the must-try chilli crabs. For museum trotters, visit the Asian Civilisations Museum located by the Singapore River or the National Museum to find out more about Singapore. You may also like to visit the latest Lee Kong Chian Natural History Museum (LKCNHM) located at the Kent Ridge campus of the National University of Singapore to witness the natural wonder in Southeast Asia. LKCNHM is Singapore’s first and only permanent natural history exhibition, showcasing centuries-old exhibits which includes South-east Asian specimens and near-complete fossils of the three giant dinosaurs. For art lovers, visit the Art Gallery Singapore and marvel at some of the greatest works ever produced by visionaries of the art world. Afterwards, take an evening stroll through any of the numerous landscaped gardens and parks on the island. Among them, two must-sees are the National Orchid Garden within the Singapore Botanic Gardens which is declared as the UNESCO World Heritage site and the third Botanic Gardens to be listed as a World Heritage Site, the Gardens by the Bay – the world’s largest columnless greenhouse where it is always springtime. 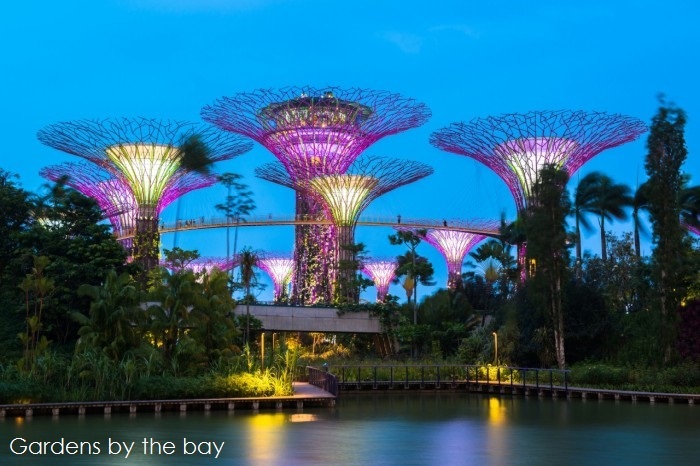 You will want to take a moment to stop and smell the flowers in the colourful Flower Field – because that’s what Singapore is all about: taking a little time to see, smell, hear, touch and taste the feast that is this fascinating destination.